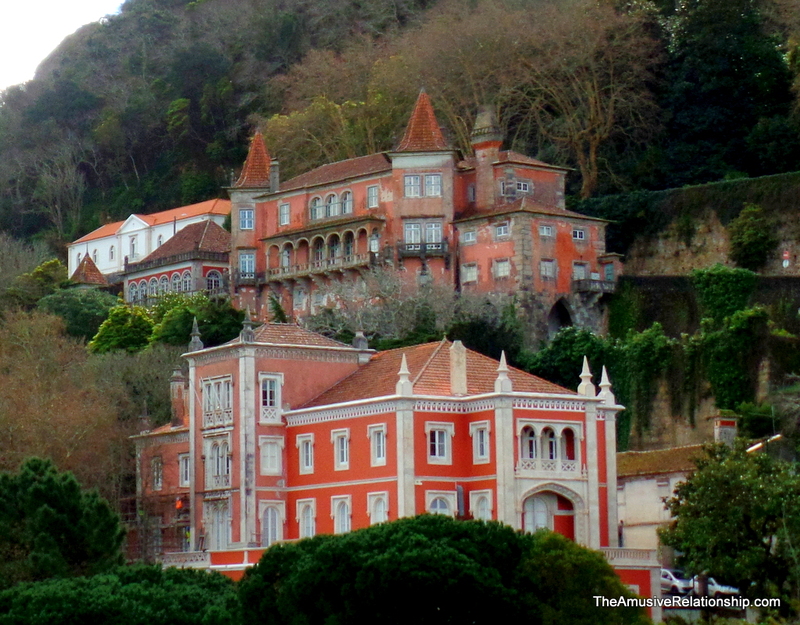 While the Castle of the Moors and Pena National Palace get all the press, along many other amazing chateaus and palaces in the region, the town of Sintra proper is simply adorable. Not far from the capital, Lisbon, it reminded my of some other towns I had seen in other parts of Europe, such as Southern France and Romania. Thankfully, we were there in off-season. I can’t imagine what it would look like during the high season. For those intending a visit, it is ALL HILLS, but thankfully, for the aged and less robust, there is an inexpensive and regular public transportation system servicing all the major spots. There are 3-4 regular, circuits that the buses run and the come about every 15 minutes. Each allows the rider to disembark, then reembark at for a single price. 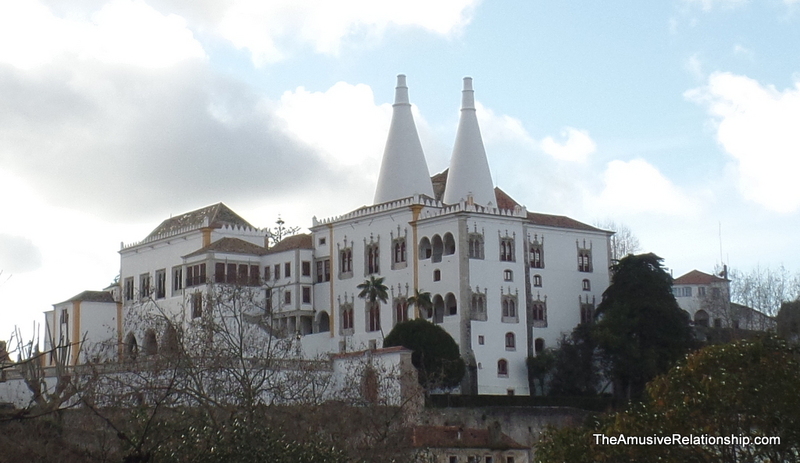 The Sintra Palace/Pena Palace/Moorish Castle route runs €5. The other lesser palaces and convent route runs €3.5. And, there is a long run through nationally protected forests to the coast to see a light house that sits on continental Europe’s most easterly point for €8, I think. One can also buy a package for all three for €12, but I think the trips must all be taken that day which makes it a looong day. Just the Moorish Castle and Pena Palace, with a little bit of walking about, took us nearly 5 hours. For those less inclined to buses, there are numerous little tuk-tuks which will take people to the various sites for roughly the same price, but more to your speed and less crowded. We’d opted not to visit inside Sintra National Palace, though in hindsight, I think I should have based on what I now see included as part of the UNESCO video I posted before and post again here for reference. Truth be told, if one was to truly do justice to Sintra, I would recommend a few days—at least three—to see everything that is worth seeing. It’s an incredible little place with a fairy tale atmosphere. Below are a few additional photos of my time there. An enigmatic piece on the nature of royalty? Perhaps. So you really are gonna take up a new career as a travel writer after your PC stint is done. In my dreams, insha’Allah. If someone would pay me for this, I would be a happy, happy man indeed.